Memory is, without a doubt, the most powerful (and practical) tool of everyday life. By linking both your past and your future, memory gives you the power to plan, to reason, to perceive, and to understand. Yet while all of us have an amazing capacity for memory, there are plenty of times when it seems to fail us. Why does this happen? And how can you fix it? 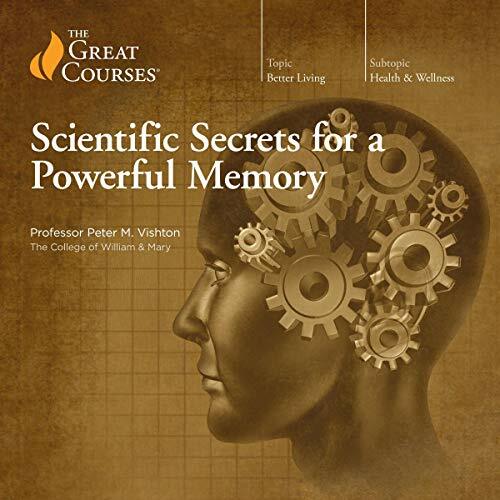 In Scientific Secrets for a Powerful Memory, you’ll explore the real research on how memory functions - and then apply these findings to help you make better use of the memory abilities you have. By tapping into a series of scientifically proven strategies, tricks, and techniques, and by practicing them through dynamic exercises, you’ll emerge from the end of this short course with the ability to process information more effectively and to increase your chance of remembering almost anything you want.